Your first time in the City of Lights, and you’re in search for events in Paris? With so much to do and see and so little time, where do you start off? Citibreak has stepped in to narrow down the list for you. We bring to you the crème de la crème of Paris and some other hidden jewels so that you make the most of your trip. So, whether you’re relaxing with family, or on an adventure with friends, this list is a great starting point! The famed and stately 19th century mansion was the former residence of the renowned sculptor, Auguste Rodin. 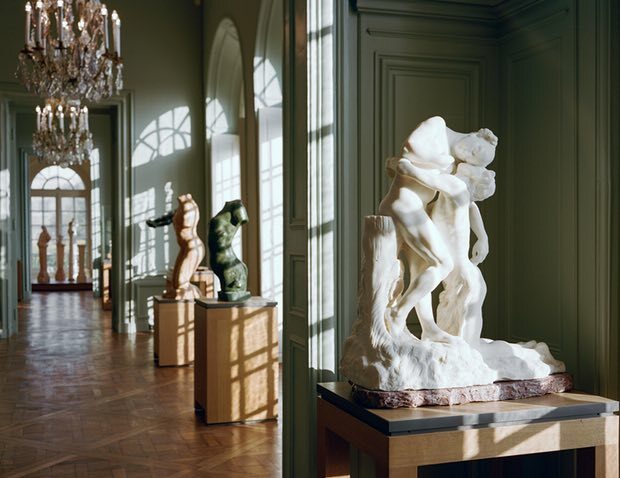 The museum now houses about 6,000 of Rodin’s sculpted works, which include his legendary masterpieces The Thinker, The Hand of God, The Kiss, The Gates of Hell, and many more. One of the other features that have for the longest of times added to the tourist’s experience is the voluptuous and stunning gardens; English style rose gardens, fountains, cafes and spectacular exhibitions hosted is what you can expect from the Museum of Rodin. Looking for a serene getaway? It’s time you made a trip to the spectacular gardens right behind a 17th century palace. Prior to being a regal walkway, the peaceful gardens now house some of the most elegant shops selling expensive perfumes and designer apparel. Unleash your inner shopaholic and feel free to splurge a little on these Parisian offerings. After 200 years of work, construction of the cathedral was finally completed in 1345. Dilapidated and victim of extreme damage, it was heavily renovated and brought to life years later. The venue is open and free for all. However, if you’re interested in a little excursion, i.e. to participate in the 387-step climb to the top, you may have to pay a small price. But most who have made the tiny investment claim that it was well worth the price. You will be able to view Montmartre to the north, and the Arc de Triomphe to the west, amongst several other places. Another free attraction that makes our list is these striking gardens. Bordered by Saint-Germain-des-Prés, this is a must-visit if you’re traveling with family. Sailboats at the Grand Basin, playgrounds, merry-go-rounds, riding ponies, and puppet shows are some of the most evident activities in these luscious and enchanting gardens; perfect for an impromptu picnic! Nothing is more picturesque than seeing Paris from a boat through the Seine. The 2-4 hour boat trip will consist of a gourmet meal, some lovely champagne, and sightseeing with live commentary by a guide. The ride may have some stops at the best attractions in Paris. So remember to have your cameras all charged up and ready to roll! Wondering What More Paris Has To Offer To You? Citibreak is one of the most comprehensive online guides for France. We furnish you with information on the latest happenings, events, exciting places to visit, cultural events, art shows, and the best exhibitions in Paris!